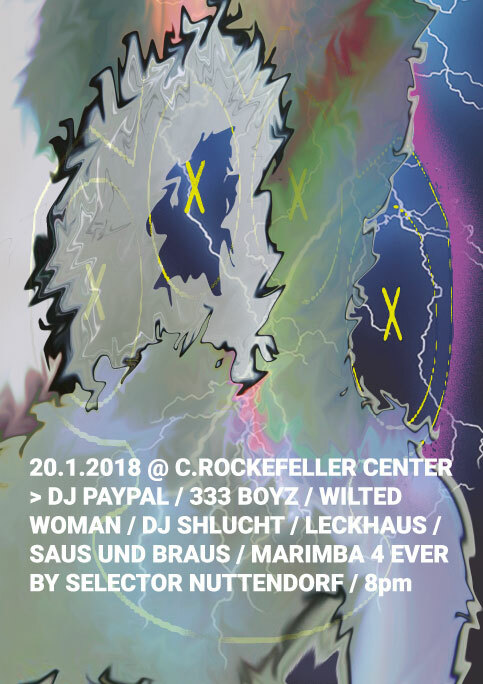 Zum Abschluß des jährlich ersten Dresdner Galerienrundgangs des DCA gibt es wieder eine Abschlussveranstaltung im CROCKEFELLER CENTER mit internationalem Sound-, Video- und Performance Kunstprogramm. Eintritt 3€ / Die Konzerte beginnen um 20:00 Uhr!! DJ Paypal is one of footwork’s most fascinating figures. His playful moniker and internet-savvy branding hint at a healthy sense of humour, but his music is as lush and soulful as his fellow Teklife producers. As the leader of Mall Music, the label home to peers like DJ Orange Julius and DJ Mastercard, he’s outlined a new take on footwork laden with lush synthesizers and hi-definition sonics, while most recently his work on LuckyMe has pointed towards an interest in soul and disco. He’s already mastered the silky Teklife roller, embellishing the formula with hip-hop sensibilities, funky synth runs and vocoder lines. Ever the collaborative spirit, Paypal hooks up with familiar faces like Teklife members DJ Earl and Taye, and some names outside the world of footwork, including Tielsie and Keiska. 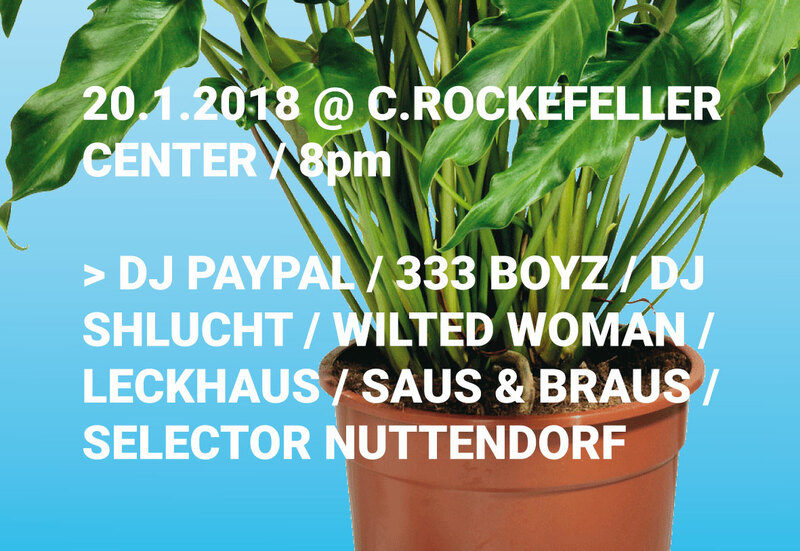 The LA-born Berlin-based producers and DJ dream team 333 Boyz have been steadily building a reputation as two of the most intriguing new DJs in Berlin, and with their toxic EP “Pink Freak” arriving on 3hd’s platform, it’s easy to understand why. Listen to the dancefloor-friendly beats, and super chill “Pink Freak” EP in it’s entirety. Wilted Woman is a music-related project, born 2013 Rhode Island and since 2014 living in Berlin. She makes abstact, complicated, or sometimes simply stressful electronic music. Her sounds have been released by labels including Primitive Languages, Alien Jams, Birdfriend, and Plastic Bags. * DJSHLUCHTHailing from Berlin DJ ShluchT works at DIYChurch.org as one of their unpaid interns since more than 8 years. He made himself a name with bad social behaviour online and in real live as well as naive ghost coding and tape looping. His Dj sets are very eclectic – drug referential stoner-logic reflecting on movies without watching them and basically it always sounds the same or like one of his critics once said: classic intuitive wrongfootedness. When he is not djing or radioing, shlucht likes to sit in his virtual bay & watch his yachts, little known but he runs a virtual yacht club where he shares his enthusiasm for underwater landscape painting and networked waves.